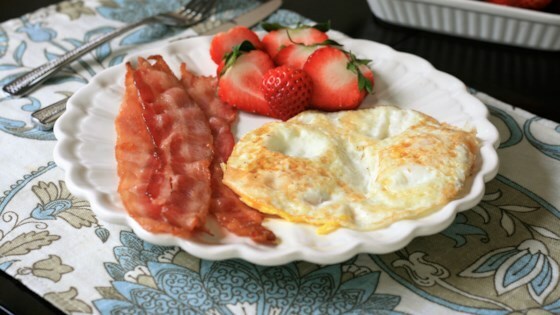 "This is a great breakfast, especially on the weekend. You fry bacon on a skillet, then after the bacon is crispy, fry eggs in the bacon grease. Garnish your plate with toast or fruit." Pastry shells filled with eggs, bacon, and cheese and baked to bubbly. This is the best way to cook a Sunday morning breakfast, along with my paprika-onion-garlic home fries done in the remaining bacon fat. Mmm-Mmm!